The Luxton Clinic is a well established, fully registered Osteopathic practice. 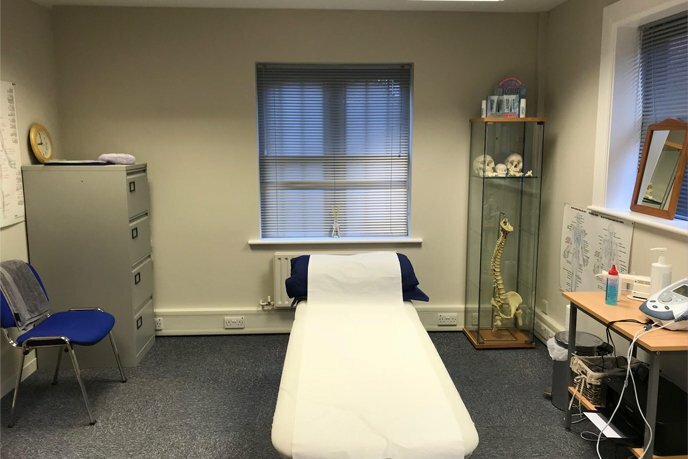 Established for over 15years, we aim to provide an excellent standard of healthcare in a professional and friendly environment. Our objective is always to treat the underlying cause of the problem, as well as addressing the symptoms in order to get our patients back to leading an active and mobile life as quickly as possible. Back and shoulder pain are just two of the many conditions that respond well to osteopathy. A sports or any common injury requires immediate treatment to prevent long-lasting problems. Cranial Osteopathy encourages the release of stress and tension throughout the body. "After my treatment yesterday I woke up this morning for the first time in eighteen months without pain." "One of the most satisfying things I have done in all my years has been to consult you as a consequence of daily back pain." For an appointment please telephone The Luxton Clinic on 01844 211011. Evening and Sunday clinics may also be available by appointment. The clinic provides disabled access.